Since the early 20th century, artists have been pushing the boundaries of photography beyond its initial use as a tool for straightforward representation. Photographic Manipulations focuses on seven artists over a 50-year period (1942–1992). Themes of identity, fantasy, and the altered landscape are explored in psychologically complex and expressive images created through traditional collage, photomontage, and staged scenes. The incorporation of incongruous elements and a black-and-white palette alludes to imaginary realms reminiscent of dreams or nightmares. This interest in the mysterious and unknown suggests roots in the surrealist movement, which began in Paris in the 1920s as a way to tap into the subconscious mind and expand the limits of creativity. In the quest to create emotionally powerful works unrestricted by traditional modes of representation, surrealist artists across all media championed experimentation with materials and techniques in ways that continue to inspire and influence artists today. 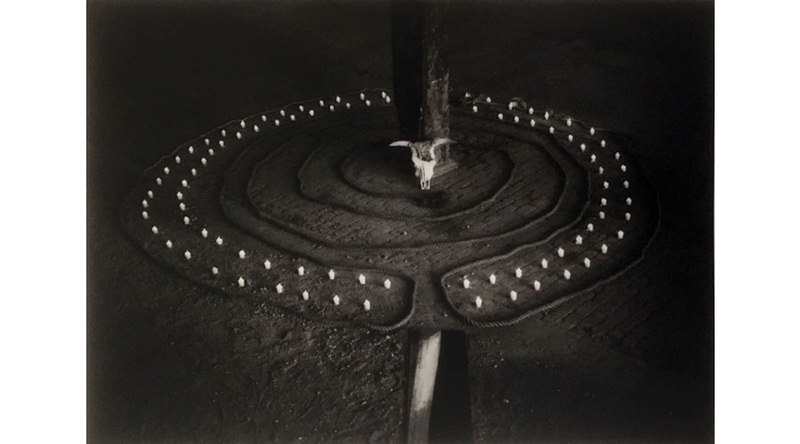 Included are works by Jay DeFeo, Eikoh Hosoe, Man Ray, Meridel Rubenstein, Ruth Thorne-Thomsen, Arthur Tress, and Jerry Uelsmann.